More dates to be added later. Typical climbs include up to 3 participants and 1 instructor. Larger parties may be accommodated. Minimum age is 8 years old. Note that any of these climbs may be arranged for a different location if the climbing party wishes. Also, moonlight climbs may be performed on dates other than those listed above. Please contact us to arrange a Moonlight Tree Climb. This is a unique experience that combines the thrill and exhilaration of tree climbing with the transcendent beauty of the heavens and the natural world. We will meet before nightfall in order to introduce and practice tree climbing techniques. Then we'll ascend at dusk to a preselected perch high in the tree and hang out as night deepens and the full moon and stars come out, and then we'll descend in the moonlight. No prior tree climbing experience or equipment is required. Your instructor will provide the necessary training and gear. The climb is carefully arranged to be achievable and safe for first-time climbers. Participants should be in reasonable physical condition, able to easily climb 3 flights of stairs. The entire experience takes about 2 1/2 hours. Participants should dress for cool conditions and have extra layers to allow for exposed conditions. Your instructor will provide either hot or cold drinks or soup. Participants may bring their own refreshments if desired (please no alcohol). Bad weather conditions may cause cancellation including severe heat or cold, overcast conditions or high winds. We have numerous trees from which to choose including our in-town trees Asherah and Molly, each about 20 minutes from downtown St. Louis. 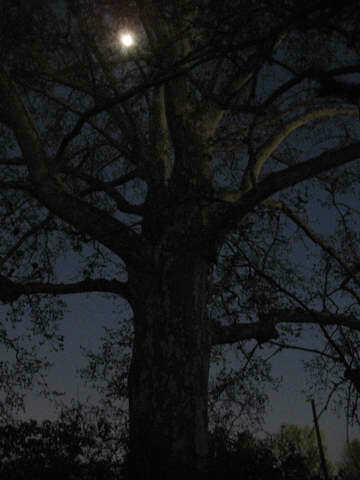 We also have out-of-town trees in some great locations to enjoy the heavens away from city lights. Climbs may also be done at your location - contact us for more info. Typical climbs include up to 3 participants and 1 instructor. Larger parties may be accommodated. Cost is $70 per adult climber, $60 per student or youth climber. Minimum age is 8 years old. Please contact us with any questions or requests. The best evenings to climb are 1 to 3 days before the full moon. On these evenings the moon rises an hour or so before sunset. Good moonlight canopy climbs can be done up to 7 days before full moon, and up to 2 days after. If you climb on an evening that comes after the full moon then be prepared for a period of darkness before the moon peaks over the horizon - this can be a lot of fun. 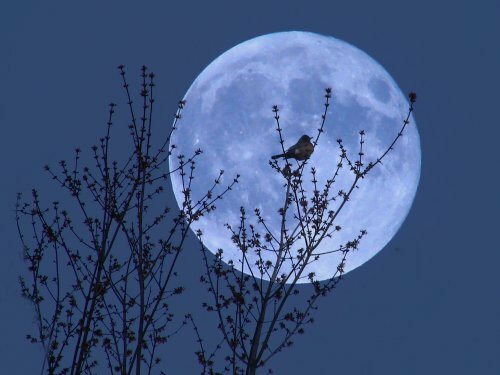 The best times for enjoying the full moon are the Winter and early Spring. 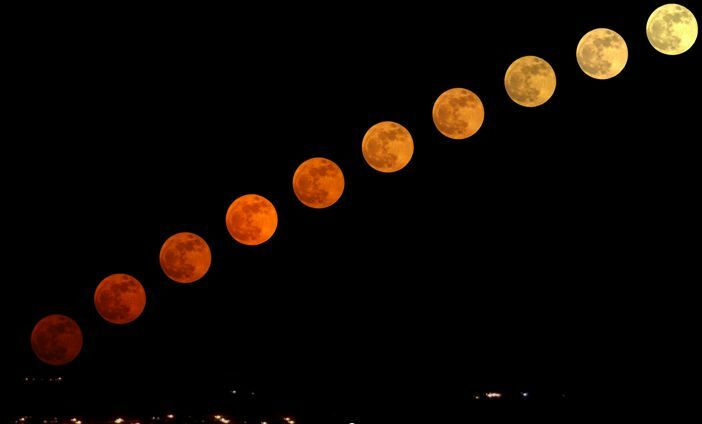 During these seasons the full moon is very high in the sky. And during the evenings just prior to full moon, the best for climbing, the moon is highest in the sky. These conditions, combined with the lack of leaves on the trees, make for great lighting and great views. The summer months bring a combination of warm, comfortable climbing conditions and a moon that must be observed early in it's cycle in order for it to be highest in the sky. Thus moonlight climbs in late spring and summer are done while the moon is approximately half to three quarters full. Alternatively, during the time of the Harvest Moon (October), the moon is only moderately high in the sky prior to the full moon. But the evenings after the full moon are glorious since the moon rises higher and higher each night (thus the name Harvest Moon because it is ideal for harvesting crops after sundown). This time of year is the best for a climb that waits after sundown for a rising moon.